Asparagus season is finally here! Growing up in rural England, the advent of the asparagus season from the local farms always meant something extra special: summer and those lazy carefree days were just around the corner. Lightly steamed and dipped in butter, we worshipped this fragrant vegetable even though as children we were only allowed one or two spears at a time. Perhaps that experience made me consider it one of life’s true delicacies. Now, asparagus is everywhere. Loaded with vitamins A,C,E and K, folic acid and iron it can be considered one of the super vegetables. 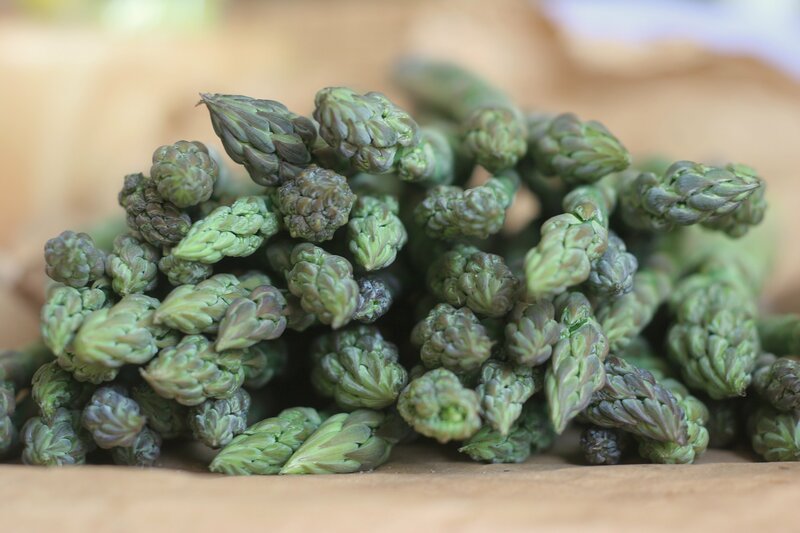 The tastiest asparagus I ever ate in the U.S. was from the Lancaster Central Market from the Amish farmers and I hope to make a return trip there this year and roast it on the grill with my family. In Brooklyn, I just bought a delicious bunch from our food coop for $1.50. I think I’ll make it my mission to eat a bunch a day from now on throughout the spring. As they say in merry old England, it would be rude not to. Method: Saute the vegetables in the coconut oil for about 5-8 minutes. If using tofu or tempeh, stir through for about 1-2 minutes with the minced garlic and ginger. Season with salt and pepper. Serve immediately with steamed brown rice. Serves 4. Snap off the ends of the asparagus. Place the asparagus on a baking sheet lined with aluminum foil, drizzle with olive oil, salt and pepper and toss to coat asparagus in the oily mixture. Roast for about 20-25 minutes. Enjoy with fish or chicken and a fresh green salad. 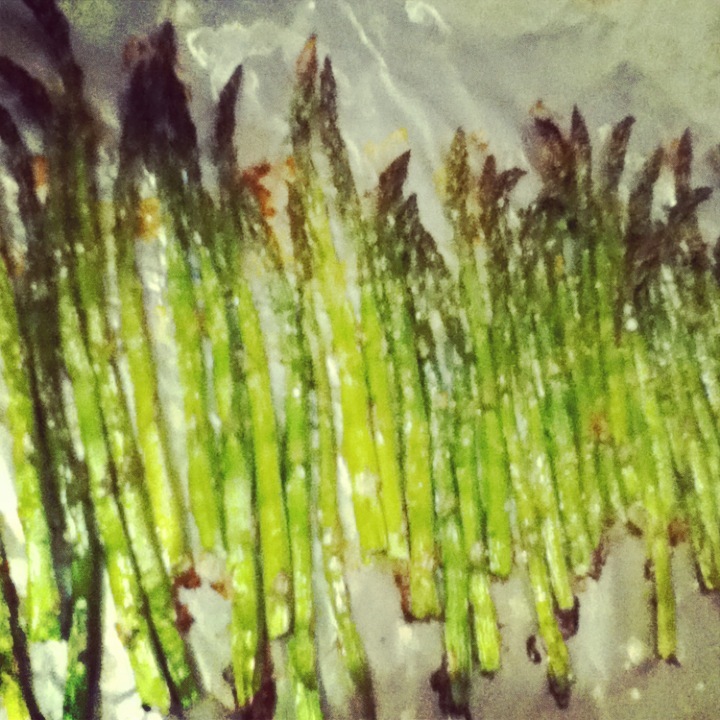 Method: Snap off the tough stems of the asparagus. Cut up into 2 inch long pieces at a slight diagonal. Place in a steamer or a medium size saucepan with a steamer basket. Steam for 2-3 minutes. Immediately toss with olive oil, cheese, lemon zest, a splash of lemon juice and salt and pepper.